Even MTV knows a good thing when they see it. 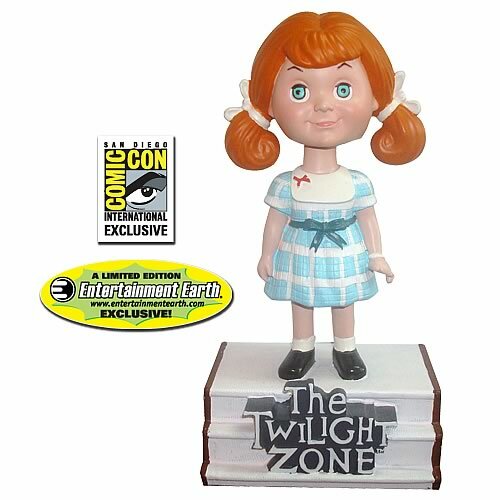 In continuing with our 2010 San Diego Comic-Con Exclusive announcements, and with our "in color" bobble head theme, fans can now pre-order Talky Tina - in Color! Read the MTV Article Here! 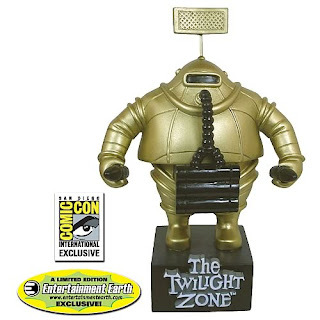 SDCC 2010 Exclusive Invader Bobble Head - Now in color! Flee in Terror, the Invaders Are Back! Are they Spacemen? Aliens? Miniature Robots? Watch the episode number 51 and find out. 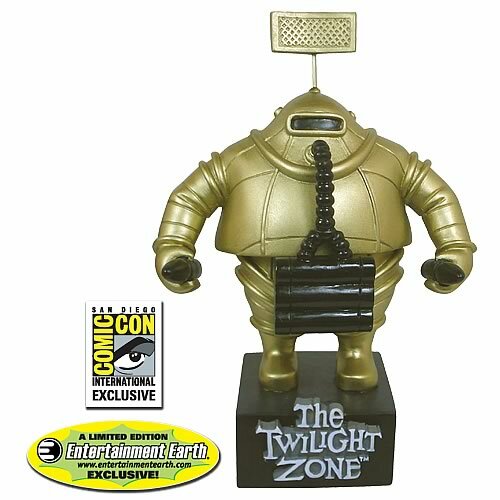 From the classic Twilight Zone episode "The Invaders," comes our latest incredible bobble head available exclusively at Comic-Con International this summer. This is a limited edition of just 504 pieces! .....Bif Bang Pow! 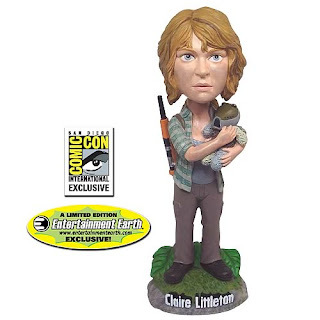 for Talky Tina! (cue rapturous applause, hugs, stumbling to the podium, and the theme from 'The Twilight Zone' played by a full orchestra). Hello Bif Bang Pow! supporters and beautiful people everywhere, Jason Lenzi here again, after a long absence. I could be clever and say I've been waiting for a momentous occasion to boast about, but really, I've just been a bit lazy. So, my apologies. God knows how you've managed your lives without me. But, I DO indeed have something to boast about: our consistently coveted and sold out Talky Tina Talking Bobble Head from our 'Twilight Zone' collection has just won Best Toy, Model or Collectible in this year's Rondo Hatton Classic Horror Awards! How cool is THAT? You can keep yer Oscars, Emmys and SAG Awards. None of those poseurs has a RONDO! It's a thing of beauty, and once ours shows up we'll take pictures with him and post 'em up for all to see. It's an honor and quite a shock (to be cliche', we didn't even know we were nominated!) to be given such an award, but what did we expect from such a distinguished and tasteful bunch?!? I advise you all, once again, to pre-order yourselves a few Talky Tinas before they're gone again. And now that she's a Rondo winner, her price will definitely go up! 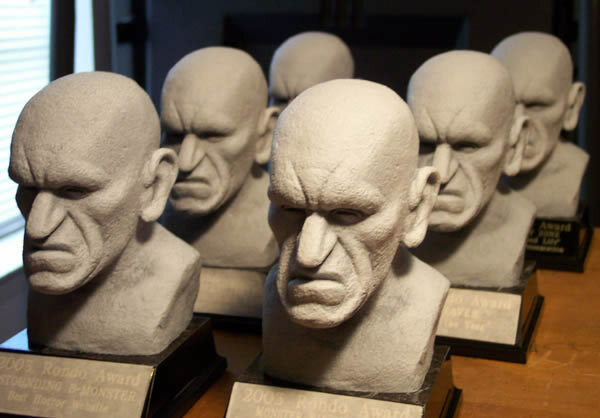 Thanks again to everyone involved with the Rondo Hatton Classic Horror Awards, and to everyone who voted. In the words of John Lennon, "You've got a lucky face". As announced at New York Toy Fair, the leaders of good and evil are together at last! These individually carded 8-inch "retro" style '70s action figures will make their debut at Comic-Con! 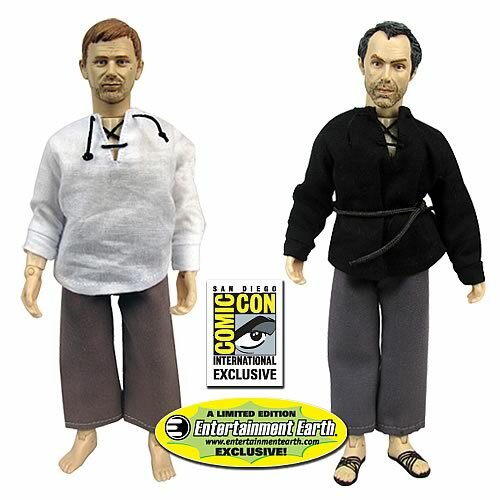 This is Series 3 of our LOST action figure line. 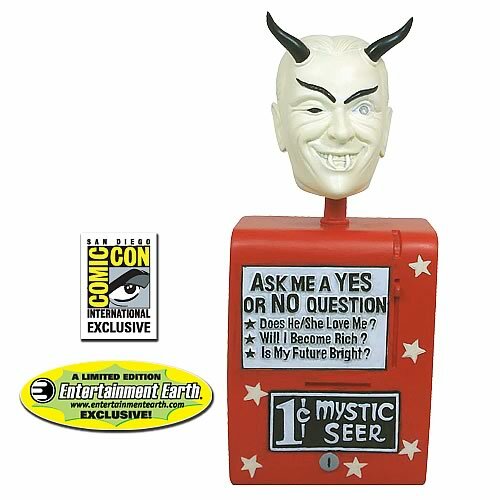 Now in beautiful full color, the very popular Mystic Seer bobble head from the Twilight Zone will be available at the Entertainment Earth booth at San Diego International Comic-Con 2010! 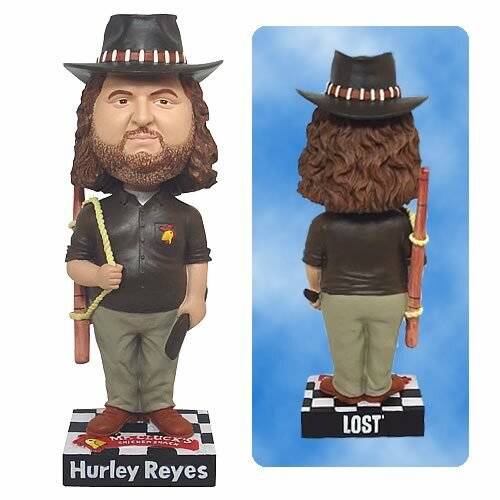 This is a limited edition of 1500 pieces.